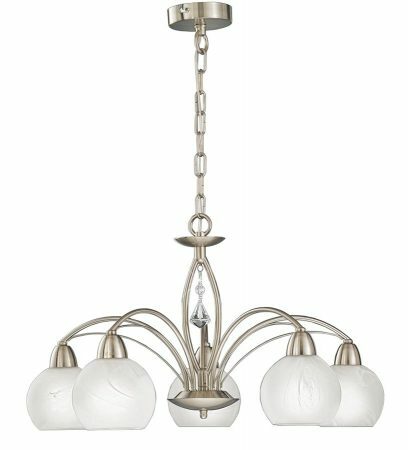 This Franklite Thea 5 arm ceiling light in satin nickel finish with alabaster effect glass shades is modern, stylish and bright. Circular 10cm diameter ceiling mount, chain suspension and beautifully designed frame, featuring an ‘eye of the needle’ centre, with faceted crystal drop hanging inside. 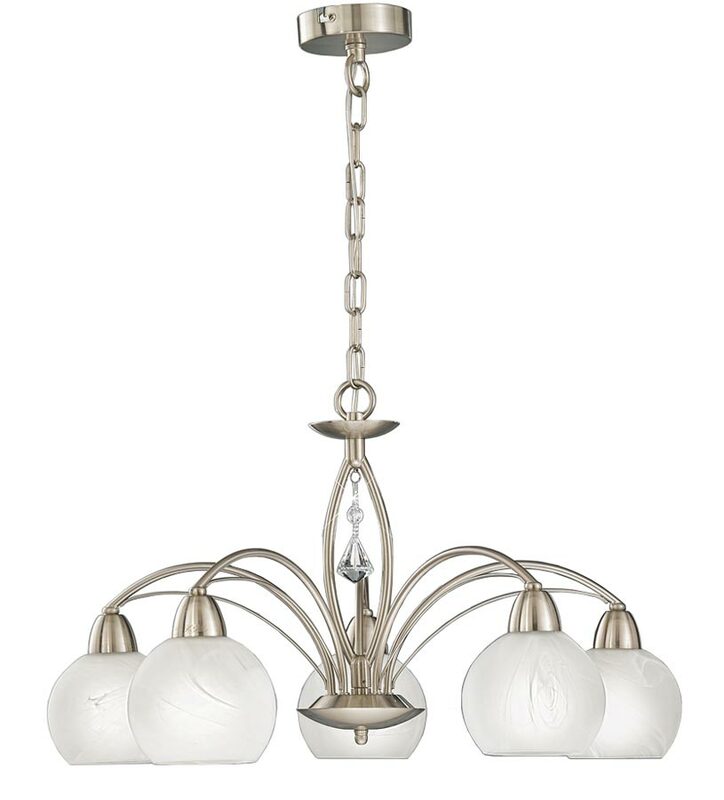 Five braced over-arching arms are fitted with downward facing alabaster effect glass bowl shades. This stylish light is supplied by Franklite Lighting who have been one of the pioneers in the design, manufacture and distribution of high quality lighting such as the Thea 5 arm ceiling light in satin nickel finish with alabaster effect glass shades you see here.